A brief excerpt taken Gerstner’s treatment of Edwards on Baptism. There is an interesting difference between the Scottish Presbyterian Princetonian tradition and the English Puritan tradition concerning the subject of baptism, particularly infant baptism. While both traditions were Reformed and, paedo-baptistic, there was a subtle difference in the way in which the two traditions viewed the baptized infant of the covenant. Neither tradition affirmed baptismal regeneration, nor even the inevitable regeneration of the infant, nor were they even unanimous on the matter of all children dying in infancy being elect. Though each tradition agreed that the infant of a believing parent or parents should be baptized, and was not thereby regenerated, or even presumptively elect, one tradition tended to assume the ultimate regeneration of children, un­less there was overwhelming evidence to the contrary, while the other tradition seemed to presume the non-regenerate condition of the infant, unless there was overwhelming evidence to the contrary. 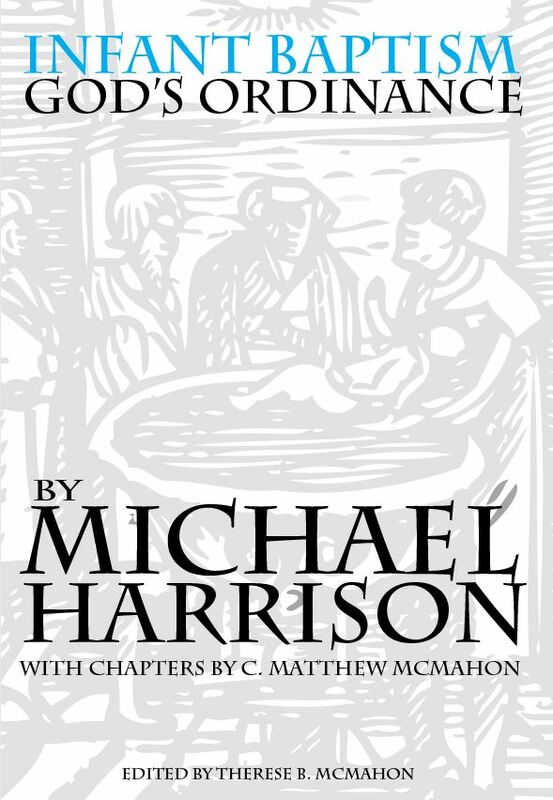 That is to say, the Reformed pastor of the Scottish-Princetonian Reformed tradition tended to regard baptized children of his congregation as elect (and re­generate) unless there was evidence to the contrary while the English and American Puritan Reformed pastor tended to regard his baptized children as unregenerate until there was evidence to the contrary. Peter De Jong is conscious of this difference in his Decline of the Idea of the Covenant in New England Theology and tends to blame Jonathan Edwards particularly for the Puritan position. His basic complaint is that the New England Puritans treated the baptized infants as if devoid of covenantal promises. That is, they treated the child as if it were not a child of the covenant. The viewpoint of Charles Hodge and B. B. Warfield was essentially the same as De Jong. They too felt that Edwards and the New Englanders devaluated the importance of the covenant for infants. 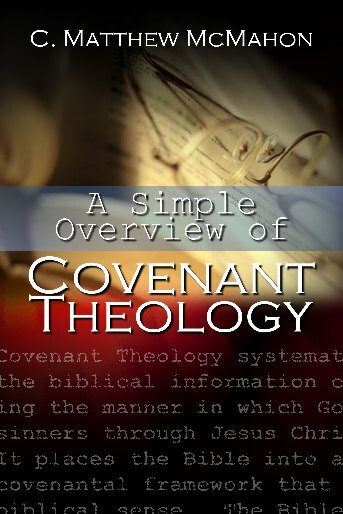 If, I repeat, there is no essential difference among the Reformed tra­ditions on the status of the child of the covenant, it is passing strange that there should be this difference in their estimation of him. How does one account for the fact that Jonathan Edwards considered his own chil­dren and the children of his congregation as unregenerate, though bap­tized, until there was clear evidence of the new birth, while a no less Reformed theologian than Charles Hodge would tend to assume to the contrary? Edwards and the Puritan tradition seem to me to be manifestly correct and consistent. If one cannot maintain doctrinally that every child of the covenant is elect and therefore will ultimately be regenerated, the Reformed person can certainly have no certain confidence that a baptized child is regenerate and elect. Even if he could believe that all children of the covenant are elect there would still be no basis for assuming that such children were regenerated in infancy or childhood. I have never been able to find any rationale that the European or American Calvinists ever gave to justify this tacit assumption of the elect status of baptized children. If they had no basis for it they were unjustified in acting as they did. On the other hand, if they did, they would be certain that such children dying in infancy were regenerate. This is speculation on my part, but what may have influenced Charles Hodge in this matter was the camp-meeting phenomena of the early part of the 19th century. The Princeton theologian, who was accus­tomed to doing things decently and in order, and presenting children in a proper way with a knowledge of Christ, was aghast at the extravagances of the Kentucky revivals. He was furthermore distressed to find that that mentality had spread north also, and that many otherwise sober ministers were being entirely too flamboyant in their endeavors to win the children to Christ. This feeling of Hodge is the only explanation I can find for his unex­pectedly favorable review2 of Horace Bushnell’s famous book on Christian Nurture.3 Hodge was very lenient with this 19th century lib­eral, whom he on other occasions criticized quite severely.4 He makes no fundamental critique of the work as a betrayal of the basic concept of nec­essary supernatural regeneration. There is no doubt, of course, that Charles Hodge believed that children, as well as adults, needed to be supernaturally converted if they were ever to enter the kingdom of heaven. They could not be brought into the kingdom by Christian nurture alone, however attractive that Bushnellian teaching may have been. Of course, Jonathan Edwards favored Christian nurture as well as Charles Hodge and Horace Bushnell. But he, I believe, would have been far more critical of what was lacking in Bushnell’s viewpoint than Charles Hodge was. Be that as it may, Jonathan Edwards is clearly Reformed in his view of infant baptism, though he says surprisingly little about it. When we consider that one of the major works of Augustine was De Baptismo and that the subject was fundamental in his opposition to the Donatists, it is surprising that Edwards, who had to oppose the separatists of his own day, did not appeal more to this crucial doctrine. What little Edwards does say is in line with the traditional Scottish-American Reformed position, though with characteristic nu­ances all his own, as we shall see in the following discussion. John Stagg, writing about Calvin, Twisse and Edwards on infant re­generation, claims that all these great Reformed theologians taught the doctrine of infant regeneration.5 It is probably true that all Reformed theologians teach that some children are regenerated in infancy, with or without baptism—indeed, before or after baptism. Edwards believed that infants of believers should be baptized. He in­sisted that the Old Testament was not completely out of date. Children are still in the covenant. Edwards thus asserts a striking analogy between the adult baptized and the adult having his infant baptized. The adult is as much concerned in one baptism as in the other. Edwards does not quite say so, but appar­ently the very efficacy of the ceremony depends as much on the adult be­liever in the one instance as in the other. In my reading through the his­tory of writing on this subject I do not remember ever encountering this point of view. All commentators do, of course, stress the fact that the par­ents of baptized infants are responsible for bringing their children up in the nurture and admonition of the Lord with a godly example. I cannot however, recall anyone ever pointing out that the very efficacy of the sacrament itself depends on the same person in both cases and essentially the same way. Note. A parent may himself be a true believer and yet not entirely give up his child to God. A person may be a true believer that yet has not acted that faith for his child that he has for himself (those things about baptism doubtful). Edwards directly approaches the question about baptismal regenera­tion of infants in terms of three questions.8 First, he asks whether all who are admitted to baptism are regenerate? No, he replies, because the Apostles baptized many adults who were not regenerate. For example, Philip baptized Simon Magus. Therefore not everyone who is properly baptized is regenerate, even among adults. The second question is whether all children of godly persons when baptized are regenerated? The answer again is no. For this Edwards simply appeals to experience and strangely enough cites no text of Scripture. The third question is whether all children of the godly who die in in­fancy are regenerate? To this he gives a very odd and unclear response. He states that if children of godly parents dying in infancy were regenerate the parents could have no better ground for hope for all their praying and desiring. His next observation is a little clearer, though no less dubious. If these parents saw their child dying they would know that they should pray for his salvation. Edwards seems to be suggesting here that if the parents knew that the child dying in infancy was elect, they could not therefore pray as they know they should pray for his salvation. Is the implied argument that if parents are to pray for dying children, then they dare not assume that the children are elect? He seems to be suggest­ing that if this doctrine, that all children dying in infancy are elect,9 were true, then parents would not be justified in their usual and necessary filial concern. It is very rare that one is uncertain about Edwards’ mean­ing, but this is one of those instances. He will not deny infant regenera­tion, but he seems rather reluctant to grant it even in the case of children of godly parents dying in infancy. Or rather we should say he grants the possibility of it, but is apparently unwilling to affirm the proposition that all children dying in infancy are elect, or that all children of godly parents dying in infancy are elect. Edwards ultimately took the position that only children of visible saints admitted to the Lord’s Supper were entitled to have their children baptized. There is a question as to when he arrived finally at this view however. When he came to Northampton in 1726, his grandfather, Solomon Stoddard, had long preached the doctrine of “converting ordi­nances.” This doctrine maintained that parents with historical faith and living without scandal, but considering themselves unconverted, should receive the Lord’s Supper. The possibility existed that they would thereby be converted. This doctrine was a distinct advance beyond the earlier departure from the Reformed tradition called the “half-way covenant.” Edwards never seems to have endorsed Stoddard’s doctrine though he did not oppose it until much later. When he did it led to his dismissal. How could parents have their children baptized with such an under­standing and not be professing Christians themselves? The question we ask is how could Edwards view infant baptism in that manner and not suppose that the adults who offered these children were themselves anything less than professed believers? We have al­ready noted above that Edwards seemed to make the efficacy of infant baptism depend upon the genuineness of the Christian life of the parents. Here the focus is on the faith of the children baptized. The viewpoint seems to be quite the same. It is expected that these children will affirm what was proclaimed for them by their believing parents. 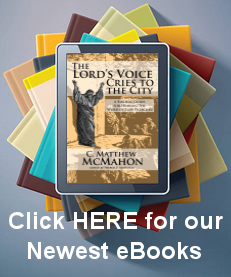 They them­selves are Christians unless they renounce what has been proclaimed for them. They virtually have to take a step in unbelief to undo their bap­tism. One could see how some have gotten the idea that Edwards be­lieved in infant regeneration. There can be no question that infant baptism is taken very seriously by him and apparently interpreted so with refer­ence to the parents as well as the children. Yet in spite of these strong statements we know from what has been observed above that Edwards by no means believed that all children bap­tized in infancy, even those of godly parents, and even those who died, were regenerate. We noted earlier that Edwards did not know at the time he wrote an early Miscellany whether infant baptism would be more effective in the millennial period. In M 911 he seems to have resolved any doubts. Children, he says, will be given up for baptism in the millennial period and many will be sanctified in infancy. That is an elect season, a great application of redemption in all of the churches’ proceedings of that time. Therefore the ordinances are especially designed for that season. All those who believe in the baptism of believers’ children believe in the baptism of believers. In other words, there is no dispute about the doctrine of believer’s baptism. All Christians agree that persons who have never been baptized should, on the profession of their faith, be baptized. The only point of disagreement is whether their infants should then be baptized. We have seen that Edwards stands in the paedo-baptistic tradition. It is equally clear that he accepted the notion of baptism on the profession of faith of those who have not been baptized in infancy. Edwards’ thought [on baptism] may be summarized as follows. A person who comes to faith in Jesus Christ becomes, on credible profession of that faith, a communicant member of the church. Then, and then only, is he entitled to have his children baptized. They are not only baptized on the basis of the parents’ Christian profession and life, but the efficacy of their baptism seems to be very intimately related to the thoroughness of the Christian parents’ living on the child’s behalf. The children in turn are regarded as Christ’s own, dedicated to Him, virtually confessing faith in Him, and called upon as they come to years of discretion, if they do not turn away and renounce that faith, explicitly to profess it, and to live according to it. When they do that the faith which their parents exercised on their behalf, as it were, is confirmed by them and they themselves become entitled to participate in the Lord’s Supper. It is to Edwards’ teaching on this theme that we turn in the next section. However, because the Half-way covenant and the Lord’s supper are so closely related in the dispute that led to Edwards’ removal of his ministry at Northampton, I will make the transition to that subject citing Edwards’ answer to the charge that he was of depriving Northampton infants of their right to be baptized. OBJECT. XIX. IF it be necessary that adult persons should make aprofession of godliness, in order to their own admission to baptism, then undoubtedly it is necessary in order to their children being baptizing on their account. For parents cannot convey to their children a right to this sacrament by virtue of any qualifications lower than those requisite in order to their own right: children being admitted to baptism only as being, as it were, parts and members of their parents. And besides, the act of parents in offering up their children in a sacrament, which is a seal of the covenant of grace, is in them a solemn attending that sacrament as persons interested in the covenant, and a public manifestation of their approving and consenting to it, as truly as if they then offered up themselves to God in that ordinance. Indeed it implies a renewed offering up themselves with their children, and devoting both jointly to God in covenant; themselves, with their children, as parts of themselves. But now what fearful work will such doctrine make amongst us! We shall have multitudes unbaptized, who will be without the external badge of Christianity, and so in that respect will be like heathens. And this is the way to have the land full of persons who are destitute of that which is spoken of in Scripture as ordinarily requisite to men’s salvation; and it will bring a reproach on vast multitudes with the families they belong to. And not only so, but it will tend to make them profane and heathenish; for by thus treat­ing our children, as though “they had no part in the Lord, we shall cause them to cease from fearing the Lord;” Josh. xxii. 24,25. ANSW. 1. As to children being destitute of that which is spoken of in Scripture as one thing ordinarily requisite to salvation; I would observe, that baptism can do their souls no good any otherwise than through God’s blessing attending it: but we have no reason to expect his blessing with baptism, if administered to those that it does not belong to by his institution. ANSW. 2. As to the reproach, which will be brought on parents and children, by children going without baptism, through the parents neglecting a profession of godliness, and so visibly remaining among the unconverted; if any insist on this objection, I think it will savour of much unreasonableness and even stupidity. It will savour of an unreasonable spirit. Is it not enough, if God freely offers men to own their children and to give them the honour of baptism, in case the parents will turn from sin and relinquish their enmity against him, heartily give up themselves and their children to him, and take upon them the profession of godliness?—If men are truly excusable, in not turning to God through Christ, in not believing with the heart, and in not confessing with the mouth, why do not we openly plead that they are so? And why do we not teach sinners, that they are not to blame for continuing among the enemies of Christ, and neglecting and despising his great salvation? If they are not at all ex­cusable in this, and it be wholly owing to their own indulged lusts, that they refuse sincerely to give up themselves and their children to God, then how unreasonable is it for them to complain that their children are denied the honour of having God’s mark set upon them as some of his? If parents are angry at this, such a temper shows them to be very insensible of their own vile treatment of the blessed God. Suppose a prince send to a traitor in prison, and upon opening the prison doors make him the offer, that if he would come forth and submit himself to him, he should not only be pardoned himself, but both he and his children should have such and such badges of honour conferred upon them; and yet the rebel’s enmity and stoutness of spirit against his prince is such, that he cannot find in his heart to comply with the gracious offer, will he have any cause to be angry, that his children have not those badges of honour given them? Besides, it is very much owing to parents, that there are so many young people who can make no profession of godliness. They have themselves therefore to blame, if proceeding on the principles which have been main­tained, there is like to rise a generation of unbaptized persons. If an­cestors had thoroughly done their duty to their posterity in instruct­ing, praying for, and governing their children, and setting them good examples, there is reason to think, the case would have been far oth­erwise. Insisting on this objection would savour of much stupidity. For the objection seems to suppose the country to be full of those that are un­converted, and so exposed every moment to eternal damnation; yet it seems we do not hear such great and general complaints and lamentable outcries concerning this. Now why is it looked upon so dreadful, to have great numbers going without the name and hon­ourable badge of Christianity, when at the same time it is no more re­sented and laid to heart, that such multitudes go without the thing, which is infinitely more dreadful? Why are we so silent about this? What is the name good for, without the thing? Can parents bear to have their children go about the world in the most odious and dan­gerous state of soul, in reality the children of the devil, and con­demned to eternal burnings; when at the same time they cannot bear to have them disgraced by going without the honour of being baptized! A high honour and privilege this is; yet how can parents be contented with the sign, exclusive of the thing signified? Why should they covet the external honour for their children, while they are so care­less about the spiritual blessing? Does not this argue a senselessness of their own misery, as well as of their children’s, in being in a Christless state? If a man and his child were both together bitten by a viper, dreadfully swollen, and like to die, would it not argue stu­pidity in the parent, to be anxiously concerned only about his child’s having on a dirty garment in such circumstances, and angry at others for not putting some outward ornament upon it? But the difference in this present case is infinitely greater, and more important. Let par­ents pity their poor children because they are without baptism; and pity themselves who are in danger of everlasting misery, while they have no interest in the covenant of grace, and so have no right to covenant favours and honours, for themselves nor children. No religious honours, to be obtained in any other way than by real religion, are much worth contending for. And in truth, it is no honour at all to a man, to have merely the outward badges of a Christian, without being a Christian indeed; any more than it would be an honour to a man that has no learning, but is a mere dunce, to have a degree at college; or than it is for a man who has no valour, but is a grand coward, to have an honourable commission in an army; which only serves, by lifting him up, to expose him to deeper reproach, and sets him forth as the more notable object of contempt. ANSW. 3. Concerning the tendency of this way of confining bap­tism to professors of godliness and their children, to promote irreligion and profaneness; I would observe, first. That Christ is best able to judge of the tendency of his own institutions. Secondly, I am bold to say, that supposing this principle and practice to have such a ten­dency, is a great mistake, contrary to Scripture and plain reason and experience. Indeed such a tendency it would have, to shut men out from having any part in the Lord, (in the sense of the two tribes and half. Josh. xxii. 25.) or to fence them out by such a partition-wall as formerly was between Jews and Gentiles; and so to shut them out as to tell them, if they were never so much disposed to serve God, he was not ready to accept them; according to the notion the Jews seem to have had of the uncircumcised Gentiles.—But to forbear giving men honours to which they have no title, and not to compliment them with the name and badge of God’s people and children, while they pretend to nothing but what is consistent with their being his ene­mies, this has no such tendency. But the contrary has very much this tendency. For is it not found by constant experience through all ages, that blind, corrupt mankind, in matters of religion, are strongly dis­posed to rest in a name instead of in the thing; in the shadow, instead of the substance; and to make themselves easy with the former, in the neglect of the latter? This over-valuing of common grace, and moral sincerity, as it is called; this building so much upon them, making them the conditions of enjoying the seals of God’s covenant, and the appointed privileges, and honourable and sacred badges, of God’s children; this, I cannot but think, naturally tends to sooth and flatter the pride of vain man, while it tends to aggrandize those things in men’s eyes, which they of themselves are strongly disposed to mag­nify and trust in, without such encouragements to prompt them to it, yea, against all discouragements and dissuasives than can possibly be used with them. This way of proceeding greatly tends to establish the negligence of parents, and to confirm the stupidity and security of wicked chil­dren.—If baptism were denied to all children, whose parents did not profess godliness, and in a judgment of rational charity appear real saints, it would tend to excite pious heads of families to more thorough care and pains in the religious education of their child to more fervent prayer for them, that they might be converted in youth, before they enter into a married state; and so if they have children, the entail of the covenant be secured.—And it would I awaken young people themselves, as yet unconverted, especially, when about to settle in the world. Their having no right to Christian privileges for their children, in case they should become parents, would tend to lead them at such a time seriously to reflect on their own awful state; which, if they do not get out of it, must lay a foundation for so much calamity and reproach to their families. And if after their becoming parents, they still remain unconverted, the melan­choly thought of their children going without so much as the external mark of Christians, would have a continual tendency to affect them with their own sin and folly in neglecting to turn to God, by which they bring such visible calamity and disgrace on themselves and fam­ilies. They would have this additional motive continually to stir them up to seek grace for themselves and their children. Whereas, the contrary practice has a natural tendency to quiet the minds of per­sons, both in their own and their children’s unregeneracy. Yea, may it not be suspected, that the way of baptizing the children of such as never make any proper profession of godliness, is an expedient origi­nally invented for that very end, to give ease to ancestors with re­spect to their posterity, in times of general declension and degener­acy? Taken from The Rational Biblical Theology of Jonathan Edwards, Volume 3, by Dr. John Gerstner, Pages 428ff.